Dancing with the stars…. well my little stars!!! The girls had a friend over and they put on a couple shows. The first was a dancing routine they made up in the pool, then a crime scene where mac played the good and bad guy and the last was were both girls have a swimming accident and Mac saves the day and saves both girls… lets just say they had a blast in the pool. This one was the funniest, sorry the music doesn’t go but I will work on getting better stuff…. Hydroponics plant is growing roots!!! We have one of our plants are growing roots, the girls are so excited….ok I am really excited, everyone knows I do not have a green thumb. Today we added the food to the ph balanced water and put our air rock in the water and attached it to an air pump. The girls also added the clay balls that will hold the plants in place and help keep the plants wet. This is Mac and Belle describing what we did. 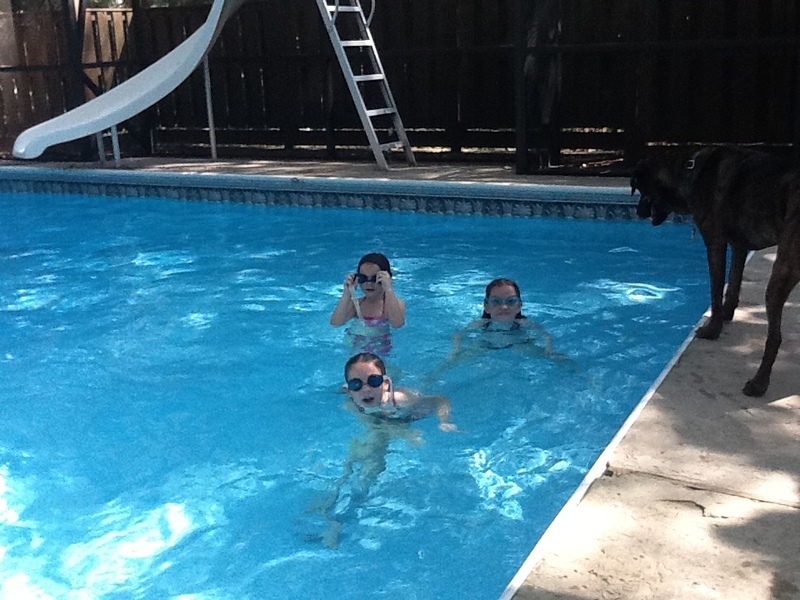 This entry was posted in Unschooling and tagged crime scene, dance routing, dancing, stars, swimming by Chrissie. Bookmark the permalink.